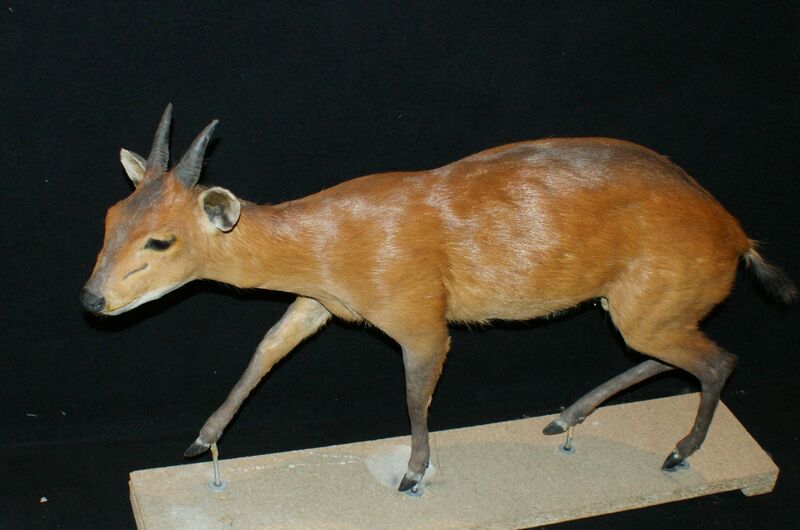 This small antelope lives in Central and Southern Africa forests. It reaches 35 cm with a weight of about 4 kg. Its dress is brown with a bluish reflection and a white belly. We distinguish below each eye olfactory glands which they use to mark their territory. The head is surmounted by a slight ridge and small conical horns from 2 to 10 cm. Females do not always have horns. These nocturnal animals live alone or in pairs in the rainforests. They feed on fruits, flowers or leaves, eggs or insects. In turn, they can fall prey to the crowned eagle. They are very territorial and walk the boundaries of their territory to mark by their droppings from glands located above their hooves and their eyes. Intruders will be expelled and only their youth will be tolerated until they reach 18 months. 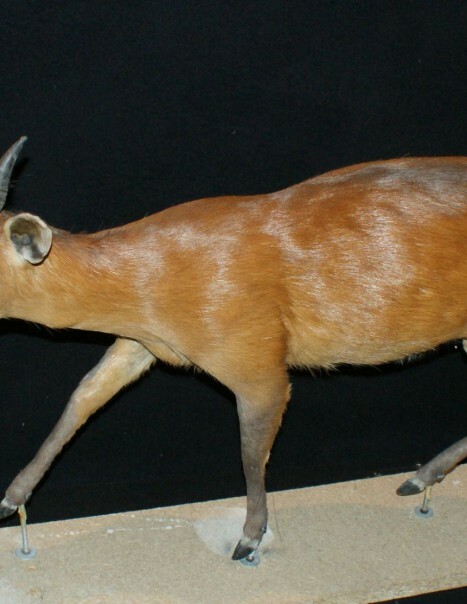 The blue duiker is not threatened at all. It is even very common in Gabon.